Are you looking for care home exhibitions and events? Have you heard about our Care Roadshows? If not, give our team a call now on 01425 838393 and discover a whole new way to be inspired. With exhibitions taking place up and down the country, you won’t have to travel far to engage with other like-minded individuals. As an industry, healthcare is both challenging and rewarding at the same time. Your success is dependent on your ability to keep up with the latest developments, but often this information can feel disjointed with so many unreliable sources to sift through. Fortunately, there is a better way. Our Care Roadshows are a collection care home exhibitions and events created by industry professionals for all healthcare workers. From informative seminars to fun and educational workshops, there is much to see and do so you’re sure to come away informed and educated. You can learn more about our care home events and exhibitions by reading below. What do you need to know about our Care Roadshows? All those who attend our care home exhibitions and events will have full access to a variety of care suppliers, industry experts and like-minded care professionals. You’ll discover relaxed networking opportunities throughout as well as specialist products designed to maximise the full potential of your care business. All while updating your knowledge on recent changes in the sector. When you attend our care home events and exhibitions, you’ll have a chance to win £100 in our FREE cash prize draw. To find out more about the exhibitions and speakers featured at our care home events and exhibitions, check out the remainder of this article. 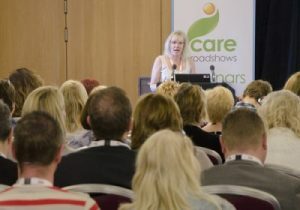 At Care Roadshows, you will have the chance to access the latest products and services as well as the most current updates and ideas spreading across the industry. Each of our care home exhibitions and events features a carefully selected roster of senior decision makers chosen based on region and number of care homes. You’ll be free to mingle, learn about new services and pick the brains of the best and brightest including dedicated suppliers and healthcare experts. Those who choose to exhibit their business at our care home events and exhibitions will receive maximum exposure so you can collect high-quality leads to generate fantastic opportunities. There is also an excellent range of sponsorship opportunities available. So, be sure to click here to learn more about our care home exhibitions and events or to book your stand. Also, don’t forget that the majority of products on display are available to try before you buy. If you’re seeking advice from industry experts, you won’t be disappointed by our care home events and exhibitions. Each of our guest speakers has been expertly chosen to host our FREE seminars and workshops. All seminars last for 30 minutes and focus on the current issues and topics that are being discussed by healthcare professionals nationwide. All attendees of our seminars receive a CPD Certificate upon completion. Our workshops last for around 20 minutes and have been designed to be as hands-on as possible for a fully interactive experience. Not only are these a fun and intuitive way of learning, they are a great way for you to roll up your sleeves and get stuck in! All of our seminars and workshops are ideally suited for all healthcare professionals. If you would like to submit a proposal for hosting a seminar or workshop at our care home exhibitions and events, you can do so by clicking on the following link. What makes our Care Roadshows one of the best care home exhibitions and events? If you’re tired of always being the last to know about the next big development, it’s time for a change. By attending one of our care home events and exhibitions, you will never again find yourself left in the dark. These well thought out and executed Roadshows have, for the last few years, helped to educate and inspire thousands of healthcare professionals. Owned and organised by Broadway Events, these care home exhibitions and events combine our passion, creativity and attention for detail to create something that is truly spectacular. Offering a range of services from exhibitor support and venue liaising with onsite management and appointing and managing contractors, we ensure that all events go off without a hitch. Introduced in 2011, our Care Roadshows has amassed a strong reputation throughout the industry as the leading choice for care home events and exhibitions. In fact, our bespoke event management solutions have seen us named as three-times Exhibition News Awards Finalists over the years. With such prestige, it is little wonder we are the go-to choice for care home exhibitions and events. 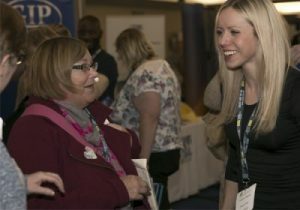 So, if you’re searching for care home events and exhibitions delivered by a dynamic and dedicated team of professionals, our Care Roadshows are most definitely for you. If you’re interested in exhibiting or sponsoring at one of our care home exhibitions and events, be sure to contact our Care Roadshows on 01425 838393 or drop us an email at [email protected]. Alternatively, you can register your interest in attending by clicking here. If you would like to see some of our recent projects or to simply keep up to date with our latest news, why not take a look at our news page.